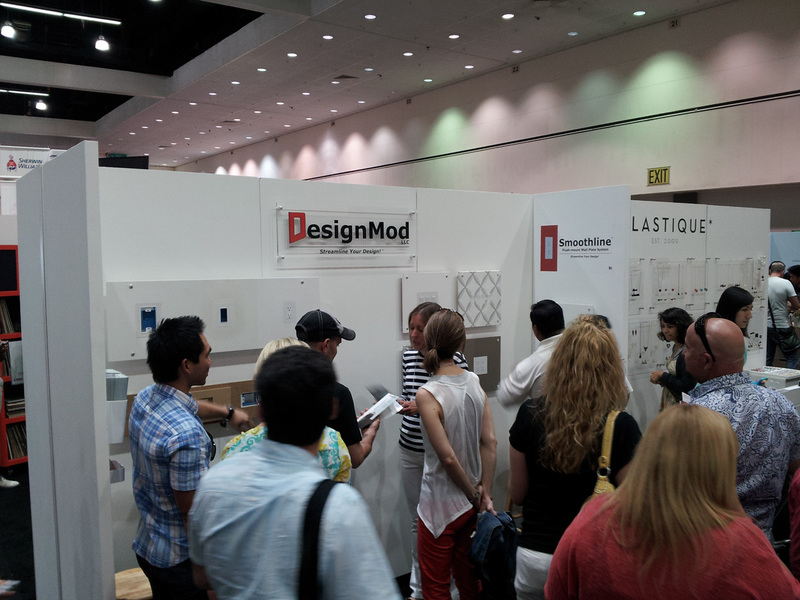 Thanks to everyone who came out at Dwell on Design 2013. 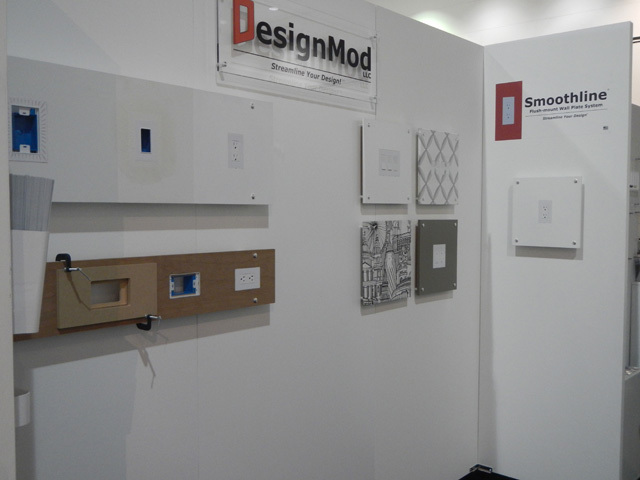 We had a great time telling people about DesignMod's Smoothline flush-mount wall plate system. Our system to mount your outlets and switches flush with the wall in drywall is out now. Our system for wood installation, a great option for walls and for custom cabinets, will be out this fall. Thanks again and we look forward to seeing everyone next year. 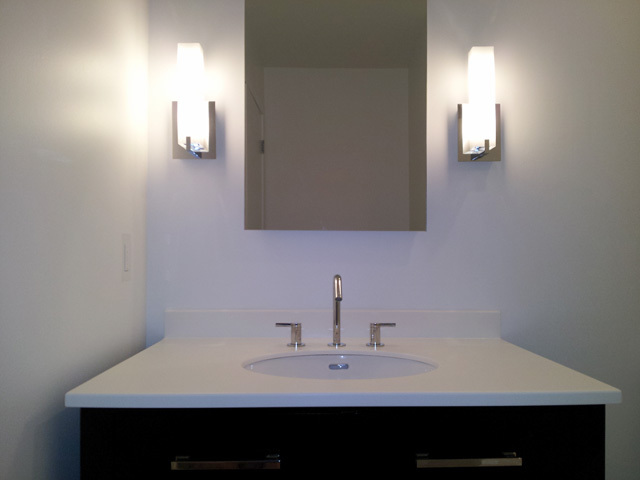 A great use of a Smoothline flush-mount wall plate in a bathroom. Even though you're required to have a GFCI outlet, the outlet doesn't need to be intrusive.